On the occasion of World Wind Day, celebrated every June 15, today we would like to recall the key role of wind energy in the current energy mix. How has the installed power evolved? Does it contribute to cover the current energy demand? Are we facing a greener future? We tell you about it today in The Energy of Change. The use of the wind resource is not something new. We can observe how birds take advantage of wind to fly and plants to spread their seeds. And we humans have used it since ancient times: on ships to sail oceans and discover new lands; in mills for the grinding of grain, mustard or tobacco or also for sawmills or paper mills. It is estimated that, in pre-industrial times, the number of windmills in Europe reached up to 200,000. Nowadays, there are more and more news that are making room in media reporting on how the generation of energy from wind is reaching new records, day after day. And, more importantly, on many occasions the milestones are being reached in an increasingly competitive way, being not only environmentally sustainable but also from the economic point of view. An example of this is Denmark, where installed wind turbines delivered enough energy to the grid to cover 43.6 % of national electricity consumption in 2017. “Wind energy is a fundamental component of the today’s energy mix and a necessary factor to achieve a 100 % sustainable energy mix. This is one of the keys that make wind energy a fundamental component of the today’s energy mix and, what is more interesting, a necessary factor to achieve a 100 % sustainable energy mix in the medium term. In short, a very promising future for the energy coming from the wind, but also a future for the planet that urgently needs to leave behind the conventional energies based on finite fuels. At European level, more than 55 % of the new installed capacity during 2017 corresponded to wind energy, followed by photovoltaic solar with just over 21 %. With this new installed power, wind energy came to cover almost 12 % of the annual electricity demand of the European Union. In addition to the previously mentioned case of Denmark, Portugal and Ireland (exceeding 24 % of their electricity consumption), Germany (almost 21 %) and Spain (18.6 %) also stand out. If we analyze evolution worldwide, the countries with the greatest increase in wind power at the beginning of the millennium are China (which has gone from 0.4 GW installed in 2000 to 188.2 in 2017), USA (from 2.5 GW to 89.1), Germany (from 6.1 to 56.1), India (from 1.3 to 32.8) and Spain (from 2.5 to 23.2). 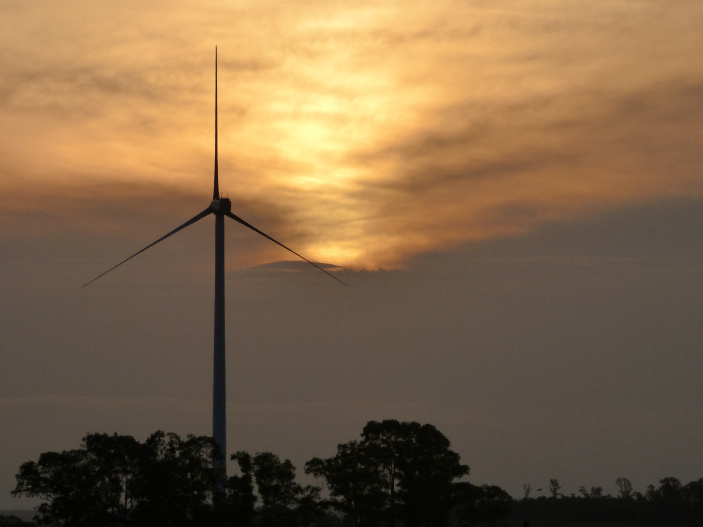 “Abengoa has been 33 years participating in wind energy projects and accumulating experience with the development of more than 500 MW worldwide. Since 1985, Abengoa has been committed to wind energy: 33 years participating in projects related to the sector and accumulating experience with the development of more than 500 MW worldwide. During all those years, many projects counted with the participation of Abengoa, playing different roles: manufacturing, promotion, engineering, construction, operation and maintenance … Thanks to the work of many professionals, we have been able to contemplate how new wind turbines were built (from the first farms in Spain at the end of the last century to the last in Uruguay, completed in 2017) that have contributed, and continue to do so, to achieving a more sustainable world. Even so, much remains to be done: the goal is a great challenge, but it is achievable. And in our case, we will continue taking small steps, with the same enthusiasm as the first day, for this path that seeks an increasingly efficient use of the energy that the wind gives us. 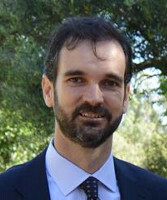 Juan Pedro García Los Santos, PV&Wind Offers manager at Abengoa Energía.